In Regenwäldern Südostliberias nahe Zwedru (Tchien) 6° 12′ N / 8° 11′ W, Grand Gedeh County, wurde 1981 – 1984 neunmal, durchweg in der Trockenzeit, ein offensichtlich unbekannter Bülbül beobachtet. Ein Exemplar wurde gesammelt. Die Art wird alsPhyllastrephus leucolepis spec. nov. beschrieben. Das Verhalten, mit geöffneten Flügeln durch die Zweige zu hüpfen, legt nahe, daß das arteigene, auffällige Flügelmuster, zwei helle Binden, als optisches Signal dient. Habitat und Baumartenzusammensetzung im Übergangsbereich zwischen immergrünem und halbimmergrünem tropischem Regenwald werden beschrieben. Die Möglichkeit der Artgleichheit mitPhyllastrephus icterinus wird diskutiert, aber auf Grund von Färbungs- und Verhaltensunterschieden sowie mehrerer Beobachtungsorte als unwahrscheinlich betrachtet. In the rain forests of Southeast-Liberia near Zwedru, Tchienregion, 6° 12′ N / 8° 11′ W, Grand Gedeh County, between 1981 and 1984, always in the dry season, an obviously unknown Bulbul was sighted. One specimen was collected. The species is described asPhyllastrephus leucolepis spec. nov. The wing length of the holotype was fresh 74/75 mm; dry 71/72 mm; Culmen 17 mm, Tarsus 23 mm. The colour of the head, mantle, tail and underside corresponds more or less toPhyllastrephus icterinus. The wing pattern is uniquely characteristic. Over all the feathers of the Alula, the median and greater primary and secondary coverts, there is a light section in the distal parts, which is bordered by dark feathertips. Through the outer parts of all the primaries and secondaries there is an additional broad light wing bar, darktipped at the end of the feathers. The coloration of the outerwebs of the primaries and secondaries inleucolepis is browner, less olivegreen than inicterinus. The coloration of the innerwebs is darkbrown, inicterinus nearly black. Wings and tail are more rusty coloured. The behaviour of jumping with open wings through the twigs shows obviously that the wing pattern is used as an optical signal in the dark forest. Habitat and tree species composition in the transitional zone between evergreen and semideciduous tropical rain forest are described. 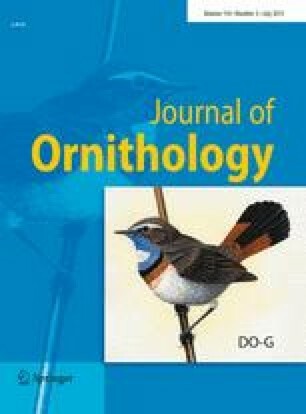 The possibility of synonymity toPhyllastrephus icterinus is discussed, but due to differences in coloration and behaviour as well as the fact that several observations were made in different places, it is considered unlikely.